Pam and I are back from a brief holiday to catch up with Family and are pleased with the number of bookings we received while away. The weather has certainly warmed up, and the rain here has done our gardens a lot of good. 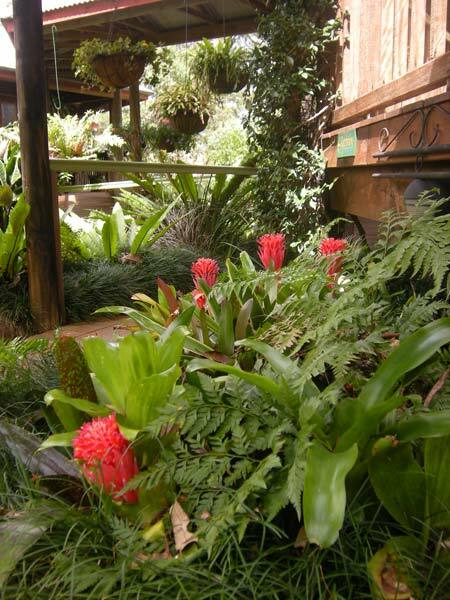 The ‘Springtime on the Mountain – Open Gardens’ Festival was held last weekend, and from all reports it was very successful with many visitors coming to the Mountain to see some spectacular open gardens. This annual event just gets bigger and better. 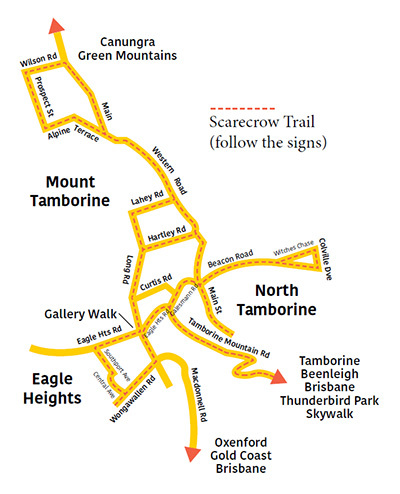 The mountain’s next major festival the annual Tamborine Mountain Scarecrow Festival is on during the weekend of 17th and 19th October. Not far away now! 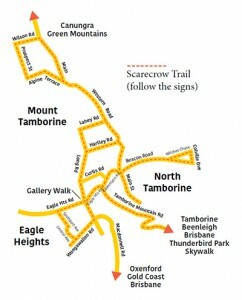 The Scarecrow Trail is approximately 14 kilometres long with a huge variety of Scarecrow designs to tickle your fancy. This event also goes from strength to strength each year. We have some vacancies for that weekend still available. 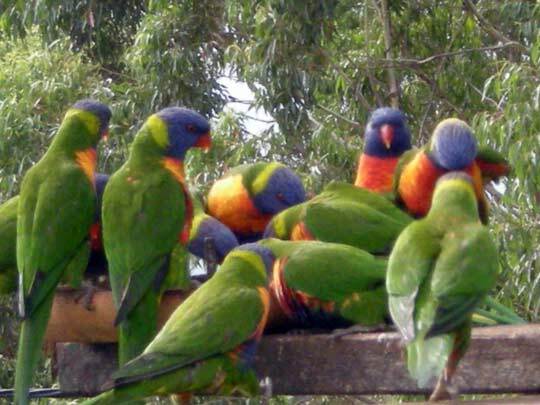 Coming up towards Christmas is a great time to give family or friends a Gift Voucher from Tamborine mountain bed and Breakfast. Please check our Gift Voucher Page for details. As always Tamborine mountain is a great place to visit and an even better place to live. 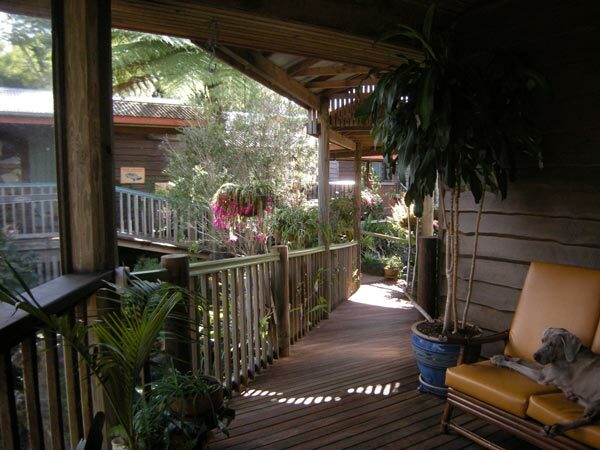 Pam and I look forward to making you welcome at Tamborine Mountain Bed and Breakfast soon and sharing with you our wonderful slice of paradise.